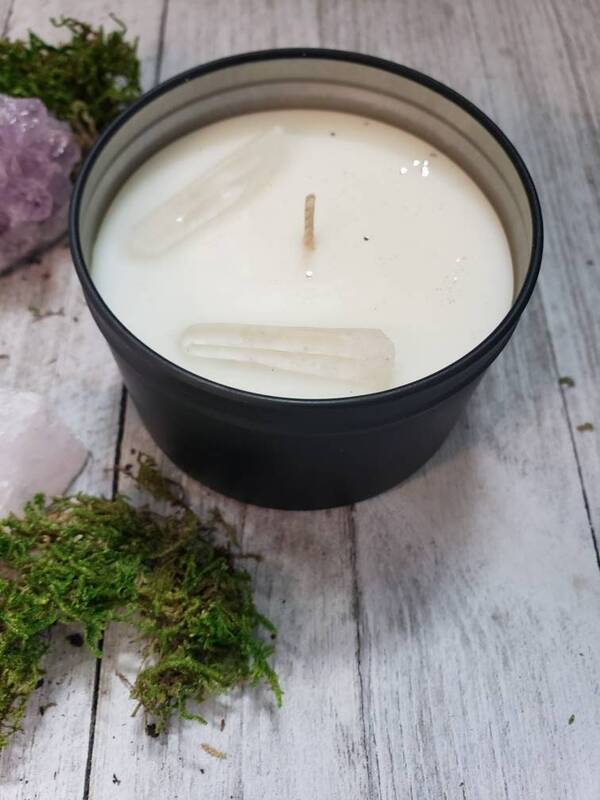 Highly scented soy crystal candle. 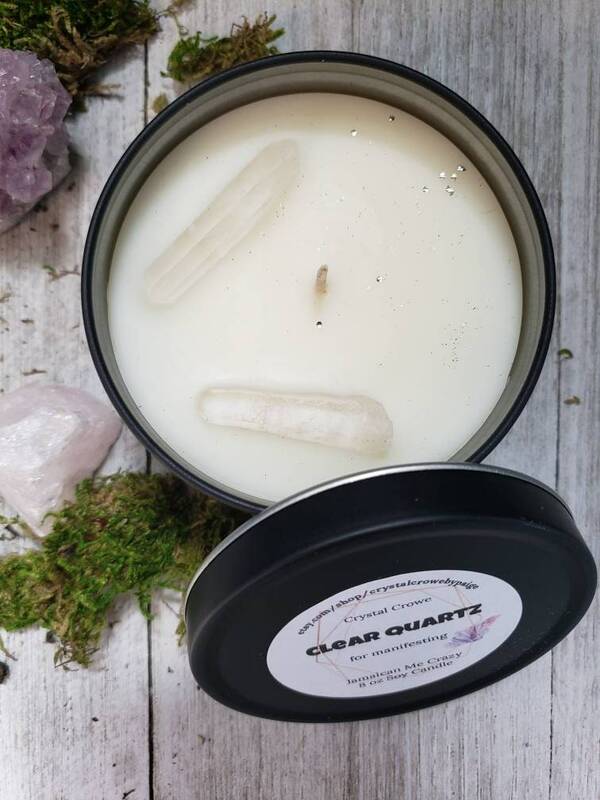 Clear Quartz candle for manifesting the things you want in your life! 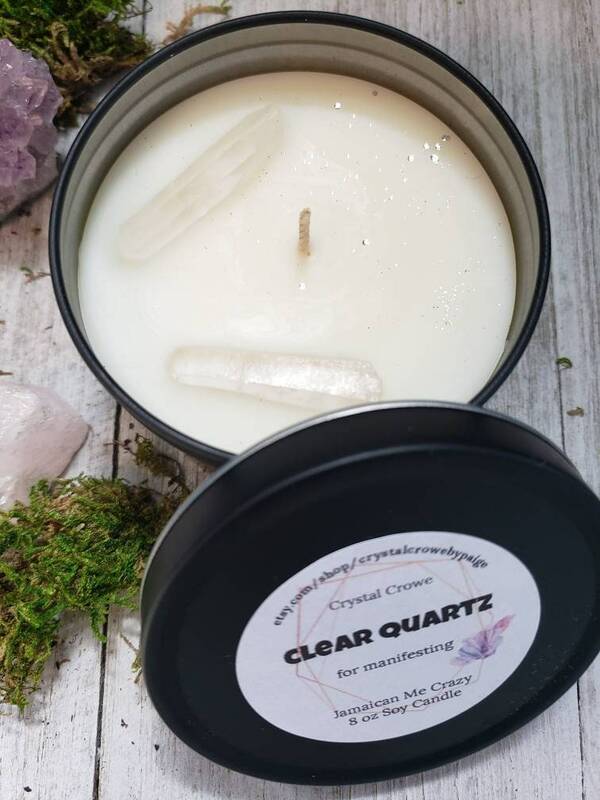 2 clear quartz points are placed inside to bring you the clarity and manifestation the stone provides. You can take out after the first burn or leave it in until you're finished with your candle!